We carry original art, home accessories and jewelry from over 30 artisans! Our goal is to support independent artisans and to provide a casual environment to browse and buy original artwork & custom framing. You can count on innovative design, affordable prices, and outstanding customer service. 45° opened in January of 2010. We began as a custom frame shop within an established gallery, The Squash Blossom. With this relationship we were able to build a clientele base & prepare for expansion. The business has grown considerably over the past 3 years. We have established a reputation for eco friendly options, expert design, flawless craftsmanship, and free delivery. We expanded to 2528 B W Colorado Ave. This is a 1200 sqft retail space in the heart of the Old Colorado City neighborhood of Colorado Springs. We have over 20 years of combined experience within the industry. As business owners we have held every position within a gallery setting. 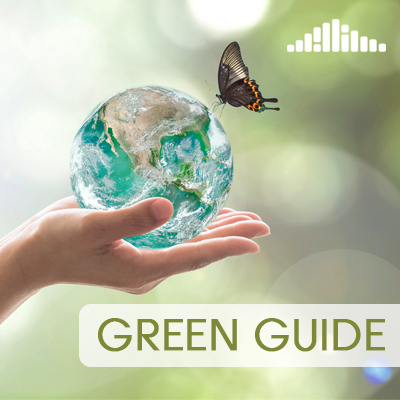 With this experience we will be able to provide a collection of work that is consistent with current décor trends, economic conditions, and primary demographic in Colorado Springs. We each bring our own expertise to 45°. Emily’s strength lies in art gallery management while Reed’s expertise is in management of custom picture framing. 45° hours of operation are Monday – Saturday 10am-6pm. Sunday 11-4. We are closed on Wednesday. Metered parking in front & free Parking in back. Academy Frame Company, located on North Academy Avenue, provides custom framing, shadowboxes, and art for sale in our gallery. Arati Artists Gallery displays original artwork from 21 local artists. Our artists create wonderful pieces in: watercolor, oil, pastel, acrylic, mixed media, bronze and steel sculpture, pottery, sterling silver and beaded jewelry, glass and wood turning. The gallery has existed in the same location since 1977. We are open seven days a week and our award winning artists staff the gallery and enjoy meeting customers and patrons to help them find the perfect piece for a gift or for themselves. 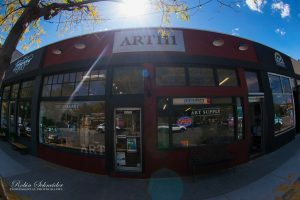 Art 111 is a contemporary art gallery with over 30 local artists and a art supply store all in one! We host monthly art exhibit openings every second Friday of the month from 6-10 p.m. with live music, food and drinks! 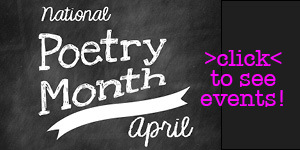 Check out calendar of events for other events throughout the month. We provide art classes and our space is bright, spacious and available for rent for other events. Our art supply side stocks top of the line supplies suitable for the budding artist and the seasoned professional. Don’t know how to use something? Please ask! We love to give little demos of how to use product and fill your brain all the know how we can. If you don’t ask, you will never know and if you don’t try, you will never grow! We are a full-service custom picture frame shop that has been serving Colorado Springs since 1980. Terry Henderson, an artist, works with his wife Jennie, a Certified Picture Framer, to give you the finest quality framing and matting for your budget. From simple to extravagant, Boulder Street Gallery & Framing will mat and frame anything! We also offer scanning and fine art giclee printing services. 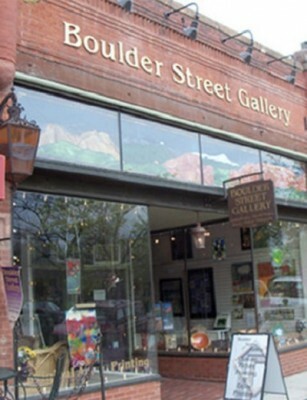 We are also the home of the Boulder Street Gallery Artists. There are currently 29 artists in the gallery and features a wide variety of mediums and artistic styles. Our normal business hours are Monday-Saturday 10am – 5 pm and is located at 206 N. Tejon across the street from Acacia Park, right behind the Cascade Street Parking Garage. Join us each month for First Friday Downtown 5pm – 8pm and for our Meet and Greet the Artists events every Saturdays 10am – 4:30pm. Featuring the finest in representational art. 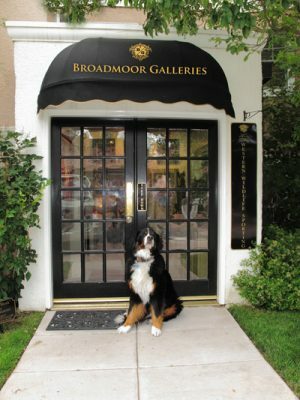 Broadmoor Galleries, one of Colorado’s premier art venues, can be found nestled in the Rocky Mountains at the prestigious Five-Star, Five-Diamond Broadmoor Resort. For over 40 years our Traditional Art Gallery has been featuring a variety of styles, subjects and medium, from modern takes on traditional themes to timelessly elegant masterpieces. Whether making a one-time purchase, enhancing an existing collection or laying the groundwork for a new body of work, we provide access to carefully selected pieces from our extensive catalog of artists sure to please the most discerning collector while also appealing to the beginning enthusiast. Exhibiting the finest in regional, national and internationally known artists working in a variety of media, with a special focus on sculpture – showcasing one of the largest selections of bronze available. Visit and discover a phenomenal collection of complimentary work, you won’t be disappointed! Representing the finest in Western Art. Featuring the best in national Western and Wildlife artists from the delightful oil paintings Robert Peters, a perennial contributor to museum exhibitions such as the Prix de West, Masters of the American West and Quest for the West; to Cowboy Artists of America Fred Fellows and National Sculpture Society lifetime member Deborah Fellows, celebrating the Western heritage and way through a partnership in life and art; or Kent Ullberg, elected Full Academician(NA) by his peers in 1990, the first such honor to a wildlife artist since John James Audubon Broadmoor Galleries Western Wildlife and Sporting collection features preeminent artists within the genre from distinguished wildlife artist Bonnie Marris, fresh from participating in the Autry Museum’s Masters of the American West to recent Cowboy Artists of America president, sculptor Bill Nebeker. Artists that not only continue the rich history of representational Western Art, upholding the traditions and integrity of the American way, but they also helped to define our understanding of it. Another museum artist, Bruce Cheever’s sacred treatment of Western ephemera elevates the banal and celebrates the objects that personify a culture, as in “The Showman,” a detailed oil painting of Buffalo Bill Cody’s saddle, an image that conveys the vastness, ruggedness and way of life in the West, as well as the man and the legend. You will also find the work of modern old world master Benjamin Wu and his classic treatment of the American settlers; bordering on photorealism yet still maintaining a painterly softness, Wu compels the viewer with compositionally harmonious images that mesmerize the soul and spirit. These are just a few of the many talented artists represented, visit us at the Broadmoor Hotel to discover more! Chavez Gallery is the gallery and studios of Liese and Kris Chavez. Stop by for daily art demonstrations and much more. Colorado Creative Co-op is a juried artist co-op with a delightful shop located in historic Old Colorado City in Colorado Springs. The co-op’s mission is to offer the public a variety of handcrafted art by local artists. They are always seeking new artists who are interested in selling their art, connecting with the public, and working with other artists. 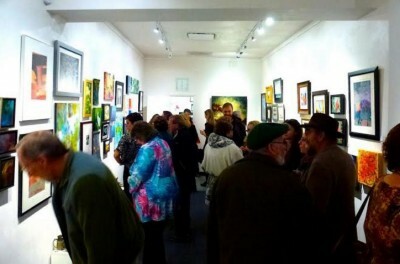 Located in the Cottonwood Arts District of eastern downtown Colorado Springs, Cottonwood Center for the Arts is a community of more than 90 studio artists. Community growth is fostered through the creation of art, classes and workshops, monthly gallery exhibitions, and special cultural events including our “Day of the Dead” open house. Professional growth is fostered through mentoring, group critiques, and creative leadership. We don’t just create art for ourselves – we use art to elevate our community! Whether it’s using art as rehabilitation for trauma survivors, PTSD patients, and veterans’ groups; offering classes to students from varying socio-economic backgrounds of all ages and skill levels; or partnering with the Adduce foundation to help high school students create and explore the arts, we’re using our power for good. The expansion of the Cottonwood Center for the Arts right on Tejon Street in Downtown Colorado Springs. The Cultural Office of the Pikes Peak Region (COPPeR) is a nonprofit 501(c)(3) organization whose mission is “connecting residents and visitors with arts & culture to enrich the Pikes Peak region.” Our administrative office is located on the ground floor of the South Tower in the Plaza of the Rockies building. Our suite faces the Pioneers Museum, and is only accessible from the exterior of the building (it is not accessible from the interior lobby). In addition to the staff offices, we maintain a small exhibition space with rotating artwork. We also have an assortment of brochures and flyers from other cultural organizations that are available to the public. Feel free to stop by and say “hello” any time during normal business hours! 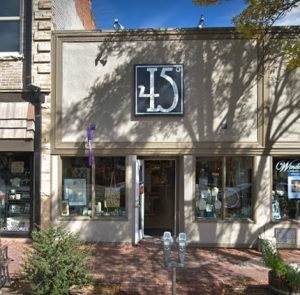 G44 Gallery is an intimate gallery located in Colorado Springs, Colorado featuring quality work by local and regional contemporary, abstract and modern artists. Exhibitions change every 5-6 weeks with an emphasis on solo shows by emerging and established artists. All artwork is original and varies in medium from oil, pastels, watercolor, charcoal, mixed media, pottery and photography. Our mission is to provide museum-quality art to our clients. We are happy to announce our new gallery recently relocated from Cherry Creek in Denver where we enjoyed operating our galleries for over 16 years. 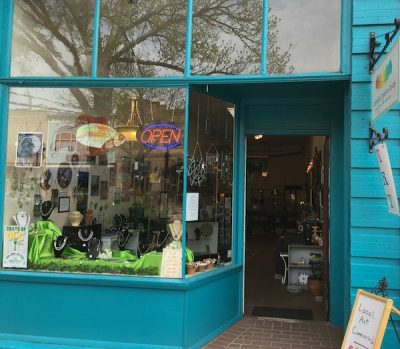 The new location here on the west side of Colorado Springs provides an excellent location to exhibit some of the finest art and Asian antiques in Colorado and the world. We are happy to be home. Even though our galleries were in Denver, we maintained our home here where we have resided for almost 30 years. We believe the business climate here in Colorado Springs has changed through the years and we want to be a part of the new look. Browse through the fine art and Asian antiques like you have never seen before. Winnie and Ken Wall will tell you the stories behind the Asian pieces fill you in on the paintings and sculpture from around the world. 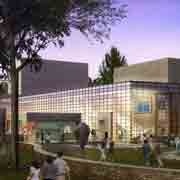 Come see us and enjoy our museum-like facility. The United Nations has declared 2012 “The International Year of Cooperatives.” Gallery 113 is on the cutting edge of this movement. Twenty local artists own and operate the gallery, which is open Tuesday – Sunday, 11:00 am – 5:00 pm. 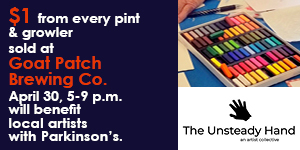 Please join us on the 14th to meet the artists and enjoy complimentary refreshments. 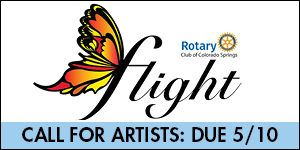 Colorado Art for the Light at Heart Featuring the work of Maxine Grossman and several other local artists. Unique stained, fused and slumped art glass, pottery, paintings, wood turnings, photography, and jewelry. New Featured Artist every month. 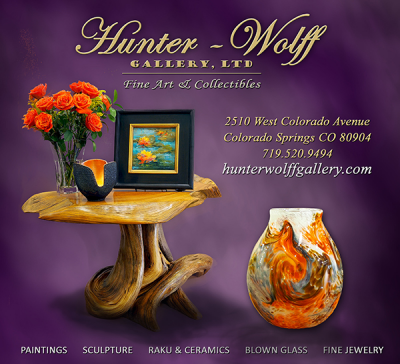 Hunter-Wolff Gallery offers a diverse collection of museum-quality fine art to ignite your imagination, fuel your passion, and inspire your decorating style. Browse our ever-changing collection and experience true artistry from Colorado and across the United States. Owner Sharon Wolff carefully selects the finest works of art by a select group of artists specializing in oil, watercolor, pastel, and mixed media that range in style: expressionism, impressionism, realism, etc. You will also find some of the finest bronze sculpture, pottery and ceramics, blown and fused glass, and jewelry. Founded on the premise that participation in the arts engenders creative thinking in all endeavors, I.D.E.A at Colorado College seeks to integrate the visual arts into campus and community life. Through innovative collaborations, visual art exhibitions, performances, speakers, and events, I.D.E.A. programs encourage impassioned dialogues and interdisciplinary investigations that extend far beyond gallery walls. A natural outgrowth of Colorado College’s liberal arts philosophy, I.D.E.A. supports Colorado College’s mission to “provide a variety of stimulating environments for intellectual development, creative expression, and personal growth” for students, and extends that mission to encompass the larger community. I.D.E.A. 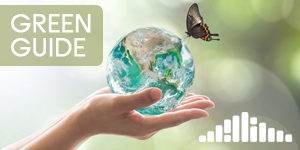 is committed to supporting a culture of learning and exploration within Colorado Springs and the Rocky Mountain region. Our mission is to create and maintain a dynamic, independent forum providing a venue for established and up-and-coming local artists. We fulfill the need for personal growth, communication and a sense of community among artists and viewers. Lofty’s Idea works to keep your body and mind fed. 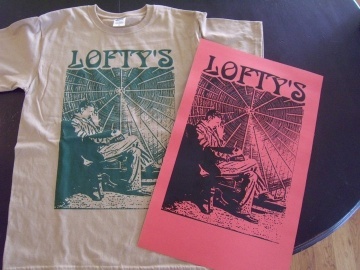 As an art space with coffee and food, Lofty’s is one of the best hang out spots in town. Marie Walsh Sharpe Gallery of Contemporary Art is designed as a completely flexible and transformable museum-quality exhibition space, this 2,600 square foot white cube gallery is equipped with state-of-the-art humidity control and security. 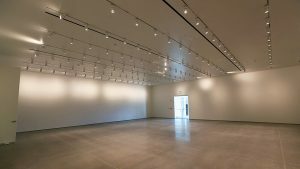 The gallery’s retroplate flooring system, fully plywood-backed walls, grid of strong points at the ceiling and dedicated loading dock can accommodate art installations in nearly any configuration. Where the Creative and the Healing Arts meet. Mountain Fold Books is a nonprofit LLC, founded in Feb, 2014 by Marina Eckler and Jonathan Fey for the purpose of opening a physical "brick and mortar" literary center in Colorado Springs. We are recent recipients of the $10,000 Ingenuity Grant from the Pikes Peak Community Foundation. 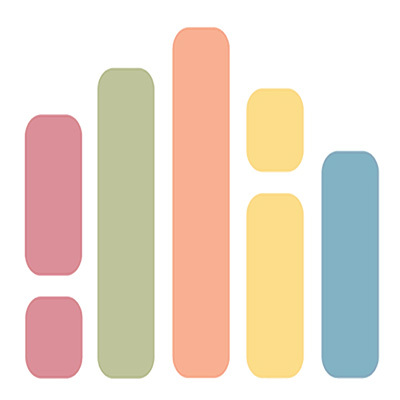 The mission of Mountain Fold Books is to provide access to contemporary small press print and journal publications in poetry, fiction, and visual arts through an independent reading room, bookstore, and cafe. We seek to extend public access to those books which are not already widely available in the Pikes Peak region, and to voices which are underrepresented in commercial literature. Mountain Fold Books exists to serve the community as a physical space for the physical act of reading, and as a local center for book culture in Colorado Springs. 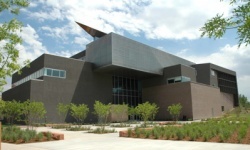 We opened to the public in September, 2014. Mountain Fold Books is honored to be a component fund of the Pikes Peak Community Foundation, a 501(c)3 organization. Paint the Town, Paint & Party Studio offers an assortment of paints & mixed media supplies, and a happy place to create! You don’t have to be a child prodigy to craft a masterpiece — you’ll have fun no matter how old you are. 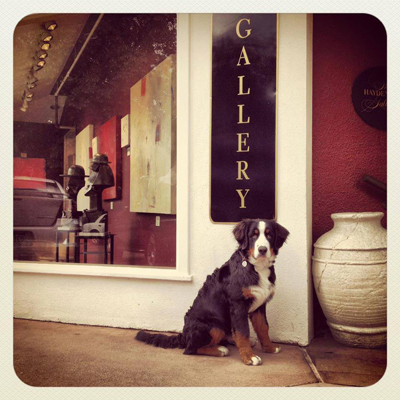 Range Gallery owned by photographer Katheen McFadden. Raye’s Gallery at Ruxton Creek is a signature fine art photography gallery located in the charming Historic District of Manitou Springs, Colorado. 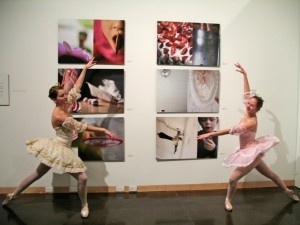 The gallery features Raye’s photography as well as curated work from invited photographers. Gallery at Ruxton Creek is located in a late 1800s historic building which Raye shares with 2 other galleries and an art studio (The Galleries at Ruxton Creek). Pamela Raye Fickes-Miller, “Raye,” weaves together the threads of her life as an artist around the world to bring us compelling photographs that capture art in everyday urban life and in the beauty created by urban architecture. In the last 6 years Raye has captured rich images in Paris where she immersed herself in the urban environment to capture life stories. 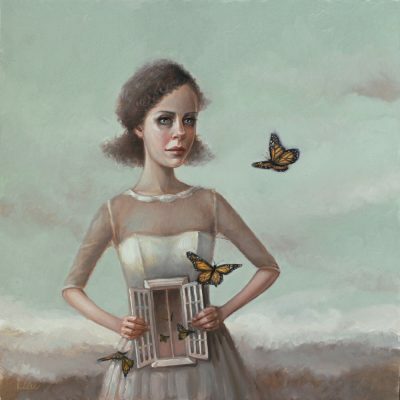 Raye is now living on the Front Range of Colorado where she continues to develop her work as an artist. Rubbish Gallery is located at 17b Bijou in The Alley Arts District. Rubbish is open Fridays and Saturdays from 5:30-10 pm. For complete and extremely up-to-date information, become a fan of Rubbish Gallery on Facebook!